Over the last few months I have stayed at Dale Farm, the largest traveller site in the UK where 80 families (mostly related to each other) are facing eviction by Basildon council. The dispute is really over fences and hard standing for the caravans to sit on as opposed to a house that has been built. Yet the council have done mayoral openings of the travellers community hut, put in electricity, lamp posts, water and other services all needing planing permission, the roads around the site follow the old ones used by the scrap yard and so on. 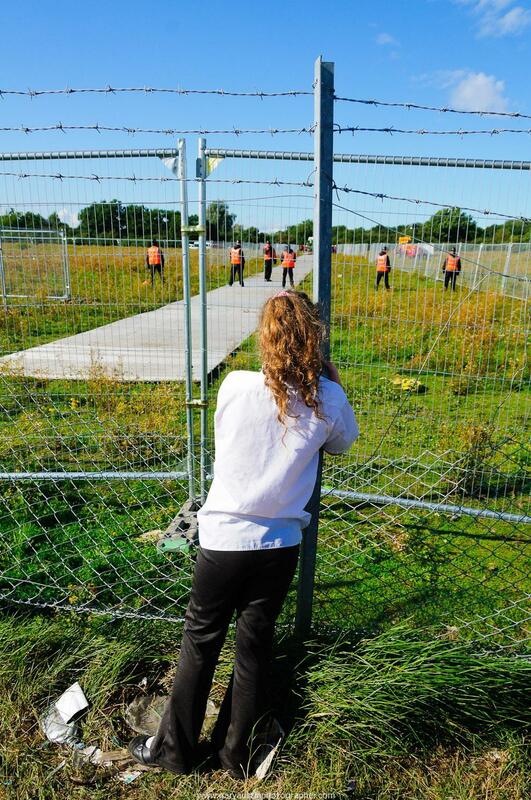 Too make it more confusing, some travellers have been granted planing permission while their neighbours have not, despite the plots being identical in fences, size, materials and looks. Few of the adult travellers can read or write, one of the grey areas in the dispute as Basildon council sends out letters to the travellers, knowing they can’t read and the interpretation often falls on the young children who attend the local school. Many of the travellers are ill or in old age which is of course why they were settling down at Dale Farm, some are widowed and don’t have a driver to pull a caravan any more. others are too ill to travel and go back to a life hopping from verge to verge and be constantly moved on.